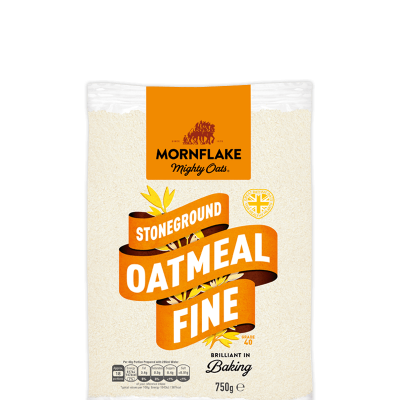 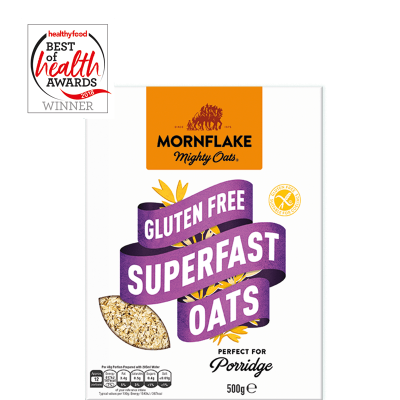 Without adding any sugar, we blend our wholegrain oat, wheat and barley flakes with a host of dried fruits, nuts and seeds, including apricots, almonds and sunflower seeds. 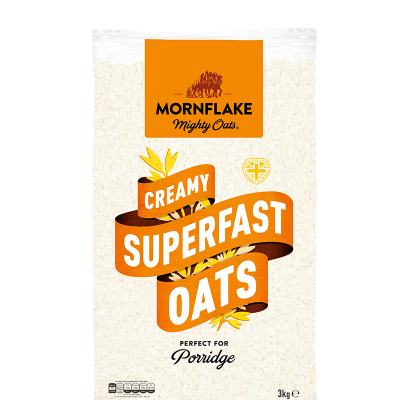 High in fibre. 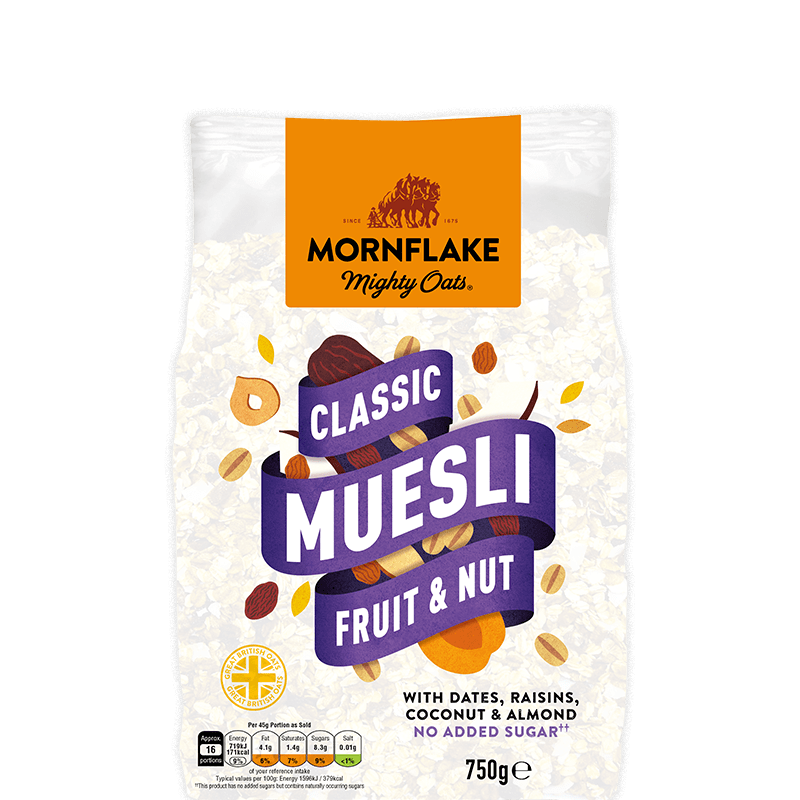 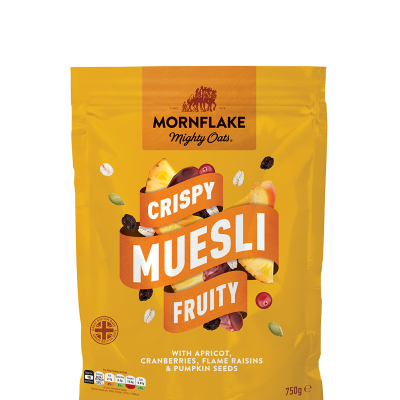 Mixed Dried Fruits, Nuts & Seeds (38%) (Dried Dates (10%), Raisins (8%), Sultanas, Coconut (4%), Sunflower Seeds, Dried Apricot (2%) (contains Preservative SULPHUR DIOXIDE), ALMONDS (1%), HAZELNUTS), OATFLAKES, Toasted WHEATFLAKES, BARLEY Flakes.